Bathroom rugs are one of those things that you just have to have. Unlike welcome mats, these rugs actually are more for functional purposes rather than something that is decorative. 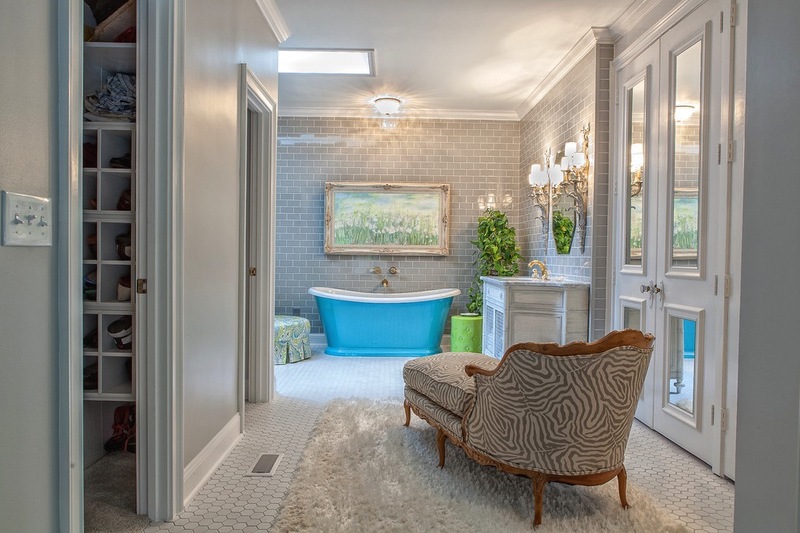 You can have these rugs on the outside of the bathroom, the inside right where the tub or shower is, or both. They serve as a liquid absorber to prevent you from having to walk around the house with wet feet. There are a lot of different types of designs and styles and even shapes that you have to choose from. 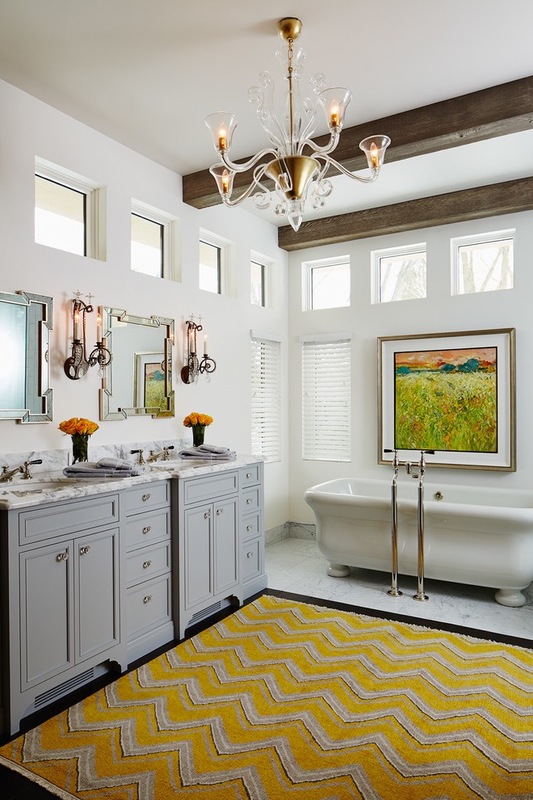 Although most people use these for the purposes of soaking in excess water when they step out of the bath or shower, since you have so many different types of rugs to choose from, they can also be used as a decorative piece. They can be made of all types of material and have all kinds of patterns or designs on them. 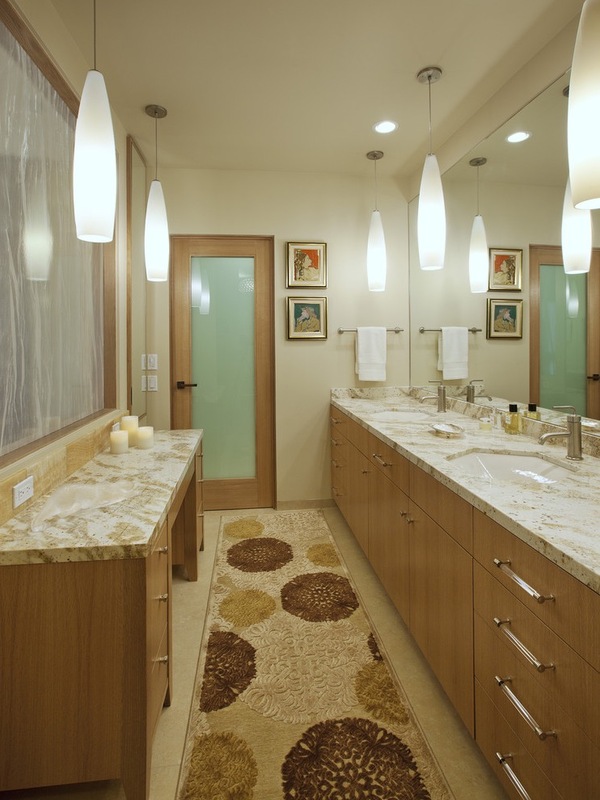 You will want to look for something that will go well with the other all color scheme of your bathroom. However, this doesn’t always have to be the case. 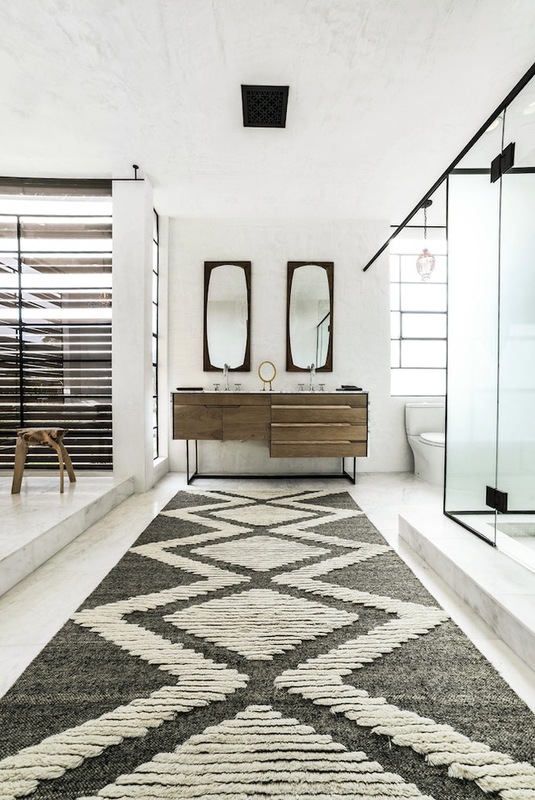 You can have a bathroom rug that is different from everything else and still be able to make the bathroom look appealing. If you want a better match, you might want to get some bathroom rug sets that will come with different things like a rug for you shower or tub entrance, a cover for your toilet seat, and another rug for the sink. These sets will normally come in the same color or at least something similar. You will want to pick something that will look nice but also something that will absorb the water in an efficient way. Some materials soak up and hold the water better than others. You don’t want to get ones where the water will just go right through the rug. You may also want to prefer a thick and fluffy rug that will feel nice and soft on your feet. During the cold winter days, stepping on these type of rugs will definitely help warm you up a bit although they will hold water so you will need to dry them out or toss them into the washer and dryer. There are different shapes that you can get as well. 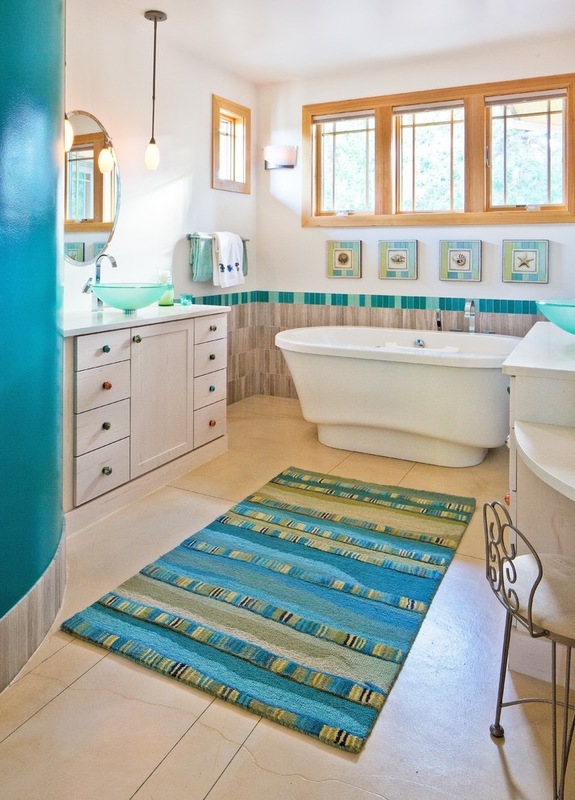 Instead of the normal rectangle shape, you can try round bathroom rugs instead. 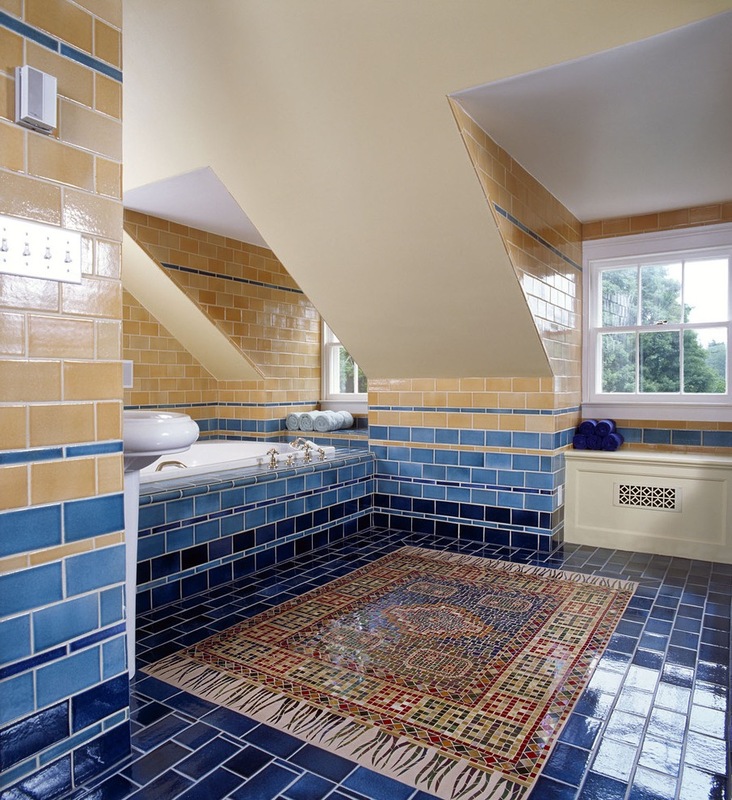 If you have kids that seem to always get the bathroom floor wet, you can try putting large bathroom rugs to cover more ground. In terms of cost, since rugs for your bathroom is such a common thing, you should be able to get it for under $30. 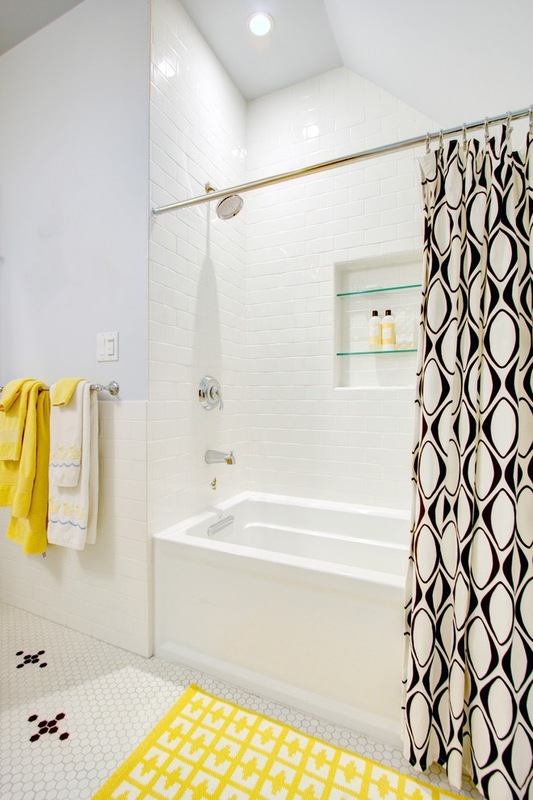 If you buy a bathroom rug set, you will save money in terms of the number of rugs and covers that you will get. You can buy these online or at any bath store. Did you know that over 150,000 people are injured each year by slipping and falling in a tub or a shower? This is probably not too big of a surprise given the fact that most tub or shower floors are smooth and lack of any traction. For this reason, in order to help keep you and your family safe, you will want to use a shower mat. The main purpose of using one of these mats is to provide you with a surface that will make it harder for you to slip. There are different types of shower mats that you can get. Some are more decorative than others but they all help in some way to give your feet more traction and allow you to have a better grip of the floor you are standing on. Things like soap or shampoo can cause a regular shower floor to become even more slippery and if you aren’t careful, you can hurt yourself. The fact that showers are small make falling even worse since you are sure to hit something if you do fall such as the side of the shower, the door, or even the faucet. What you will want to look for in a door mat is its ability to stick to the floor as well as provide you with secure footing. Some mats are better than others. You can get one of the many non slip shower mats for better support. Some mats will help prevent you from slipping by having a rough surface on the top but it might not be good at sticking to the floor. If some water and soap gets underneath it, this can cause the mat to move and slide which can cause you to slip and fall. Not all shower mats are used inside the tub or shower however. They can be used right outside your shower as well. 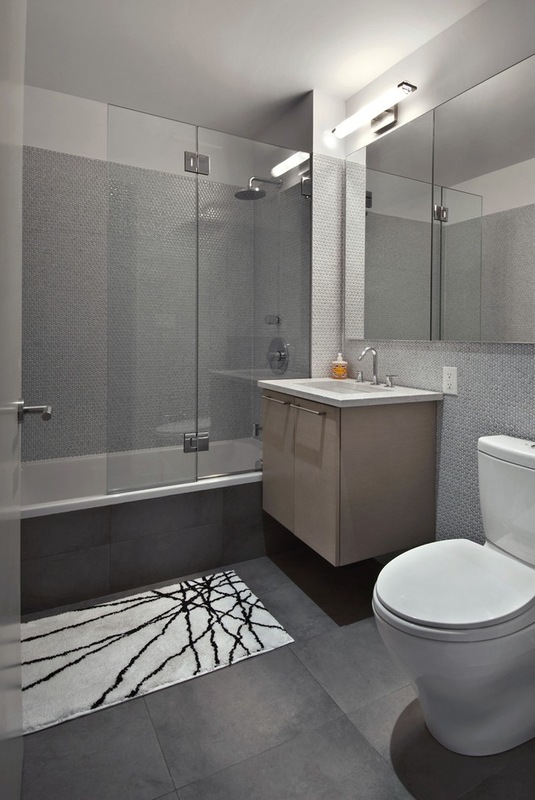 Since your feet will be wet, there is still a danger of slipping on your bathroom floor. You can get a simple rug for this purpose but as you know, those can hold in water and can sometimes cause an odor. There are certain types of mats such as a teak shower mat that you can use which will not only give you a place to drain water from your feet and body but will also give your bathroom a nice look as well. You can purchase any of these types of mats at bath stores as well as online. In terms of design and style, you will have a wide range of choices to choose from. You can get a round shower mat, a blue one, a large one, one that massages your feet, etc. When choosing a mat, you will want to make sure you get one that has a surface that will keep you safe. The bottom of the mat is important as well. You might want to get ones that have suction cups on the bottom so that it sticks to the floor better. You will also want to get ones that have holes in them to help drain surface water. You will also want to look for ones that inhibit things like bacteria and mold. A shower mat can also help make your shower look better as well so there are plenty of neat designs that you can get but the main purpose is to either help prevent you from slipping or to help dry the water off of your feet. You can get the majority of these mats for under $40. Most can be found for under $15 or so. Related Post "15 Best Bathroom Rugs and Bath/Shower Mats Decor Ideas"